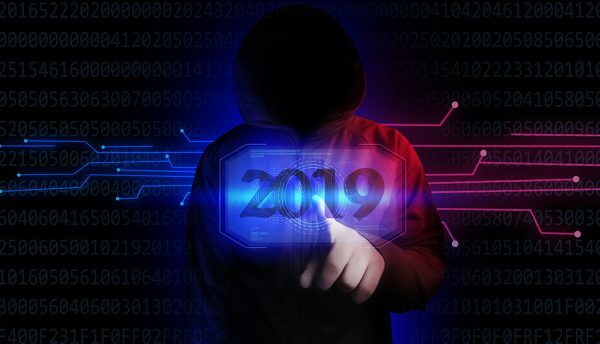 What lies ahead for companies, governments and individuals regarding cybersecurity in 2019? Will we see the EU government forcing US data centers to hand over data? Will the European Union issue its first major fines for organisations in contravention of its General Data Protection Regulation? Will our growing dependence on social media expose us to unwanted risks as our accounts become compromised? Brian Pinnock, Cybersecurity Specialist at Mimecast, takes a global look at some of the key developments we can expect to see on the cybersecurity front in 2019. The World Economic Forum recently placed cybersecurity as the fifth biggest global risk for doing business, with 19 countries ranking it as their number one concern, including 14 in Europe and North America, as well as Japan, India, Indonesia, Singapore and the UAE. As the political climate around the world continues to create volatility, growing numbers of connected global citizens will turn to the Internet to have their message heard. The growth in connected devices– from consumer wearables to industrial IoT to medical devices – is compounding the security challenge as each device represents a potential cybersecurity risk. Phishing techniques like the use of homoglyphs, elongated URLs, the use of legitimate certifications (green lock) and credential-harvesting sites will increase. Flawless phishes will continue to prey on the gap in human firewalls, pivoting internally around organisations and intensifying efforts to better educate all staff. Cybersecurity awareness training, which according to a global Mimecast and Vanson Bourne study is only continuously conducted by 11% of global organisations, will receive renewed attention as organisations bolster the capabilities of their first line of defence: their employees. Cybercriminals will also shift focus to weaker countries and industry verticals that lag in their adoption of more advanced cyberdefences. More industrialised countries are investing heavily in cybersecurity, making them less attractive to cybercriminals. Companies in particularly the Middle East and Africa often assume their security is sufficient without realising that the threat landscape is drastically shifting. This makes them easy targets for cybercriminals who tend to follow the path of least resistance. Attackers will also continue to shift their attention away from larger organisations to small and medium businesses. With global cybercrime organisations’ growing in maturity and sophistication, many are now acquiring capabilities that were once the sole reserve of nation states. We’re likely to see these cybercriminals use stolen credentials from the past few years’ data breaches to compromise the security of even the most secure organisations. Even companies with good cyberprotection have little protection against the reuse of passwords that have been collected in other breaches. Organisations will realise the importance of threat intelligence and will talk about the need for an intelligence function. What they really mean is that they want some insight from their vendors around the huge amounts of threat data they’re acquiring. There may be a handful organisations who will stop recasting threat data as intelligence and instead focus on generating actionable insights from this data, the prerequisite for ‘threat intelligence’. Unfortunately, the vast majority still won’t take any action from the data presented, which means they won’t actually have any intelligence – only an interesting storyline. Artificial Intelligence and Machine Learning will play a more prominent role as the velocity and variety of attacks makes conventional approaches – such as blacklists – outdated and ill-equipped to deal with modern cyberthreats. The average phishing site, for example, is only online for a few hours. With such a crowded domain space, attackers have to be clever about the domains they register and exploit. Luckily, these domains generally have certain characteristics, which Machine Learning algorithms can exploit and detect, while other properties of attack vectors can also be recognised by appropriately trained AI. AI will also be used to detect break-ins, spam, phishing and more. Although it will mostly work well, look out for the occasional mistake: these will be utterly incomprehensible to humans and very hard for vendors to explain to their customers. 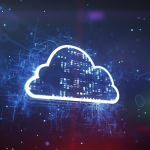 As our world becomes increasingly digitised and connected devices continue to permeate every aspect of our daily lives, the risks posed by cybercriminals are escalating. A large-scale attack on critical infrastructure such as energy services, water supplies or even hospitals could cause massive damage and even loss of life. Autonomous vehicles, although not prevalent on our shores yet, are attractive targets for the more ruthless type of cybercriminal. And with the growth in digital medical devices, hackers could directly target an individual and interfere with their pacemakers or heart-rate monitors. Even though the threat landscape keeps changing what seems to be the common thread is that email continues to be the most common – and least protected – attack vector. We can’t predict exactly what 2019 threats will look like but we can predict that while email remains vulnerable it will continue to be the preferred entry point for criminals to deliver threats to your organisation.